PLEASE NOTE THAT THIS YEAR’S RAFFLE WILL BE HELD AT A NEW VENUE. We are reaching out to everyone to let you know the league is having a event on June 29th at the Son’s of Italy in Waltham at 6:00 PM. This is the first year that the event will be held in Waltham. For the past several years the raffle was held at the Son’s of Italy in Woburn. We will be raffling off $10,000 and we want you to be part of it. If interested in participating, a raffle ticket is $100.00 to enter and we will get you a ticket. You do not need to be present for the raffle, but if you are one the final 10 tickets left, you will be called. Lets hope you get the call!!! We will provide Chinese food as well and many other money prizes and raffles. The Andre Chiefs scored nine runs in the last two innings to pull away from the Merchants in Wakefield 11-5. Kyle Dembrowski, with a grand slam and a single, and Andrew Caulfield with three hits, led the Chiefs 14 hit offense. Paul McGunigle and Joe Barry each had two hits and an RBI for the Merchants. David Kerns (1-1) picked up his first ICL win in relief of Jared Freni. 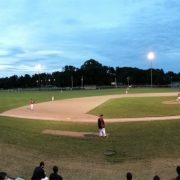 The Somerville Royals came from behind to score four times in the top of the seventh then held on to beat the Melrose Americans 5-4 at Morelli Field. It was a brothers act for the Royals on the mound as Paul Covelle (2-0) got the win and brother Ryan picked up the save. Edaurdo Soto led the Royals offense with three hits that included a double and two RBI’s. John Jennings had a double and two RBI and Dave Center and Will Shackelford two hits each for Melrose. In Watertown, the Reds overcame a 2-0 first inning deficit to come from behind and edge the Malden Maddogs 3-2. Dan Chaisson had two hits and an RBI and Jake Miller a solo homer for the Reds. Worth Walrod stayed perfect raising his record to 4-0 and Pat Maher recorded his second save. Taylor Ferguson’s homer in the bottom of the seventh allowed the Blue Sox to walk off with a 3-2 win over Alibrandis in Lexington. Veteran Dave Lightbody gave Alibrandis a 2-1 in the top of the sixth with a solo homer. The Blue Sox tied things up in the bottom of the inning and then won it in the seventh. CJ McKinnit picked up the win getting the Alibrandis side in order in the top of the inning. Chris Costa (1-1) took the loss in relief of Sean Sullivan. Kyle Autilio (3-1) tossed six innings of four hit ball, and Jamie Weiss picked up the save, when the Melrose Americans beat the Malden Maddogs 4-2 at Maplewood. John Jennings led the way for the Americans with three hits while Will Shackelford had two hits and two RBI’s. Albrandis got a ninth inning single from Juan Parra to walk off with a 3-2 win over the Andre Chiefs. James Cramphin (1-0) got the win with three innings of relief. Mitchell Clegg worked the first eight innings for the Chiefs and struck out 10. David Kerns (0-1) came on in the ninth and took the loss. In Somerville, the Reading Bulldogs made three fifth inning runs stand in a 3-0 shutout win over the Royals at Trum. Steve Busby (2 RBI’s) and Darren Hartwell drove in the Bulldogs’ runs. Jack Burke (1-0), Zak Levine, and Ben Gottesman combined on the five hit shutout. Soren Hanson (0-2) took the loss while striking out seven in his six innings of work. 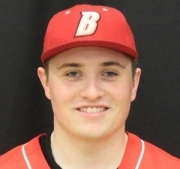 Evan Walsh (1-1) threw five innings of one-hit relief, striking out seven and retiring the last 13 in a row, to enable the Andre Chiefs to come from behind and beat the Watertown Reds 6-2 at Maplewood. Leivi Ventura had two RBI’s and Nate Witkowski had three hits, including a double, for the Chiefs. Dan Chassion had a RBI double for the Reds. Nate Beck (0-2) took the loss. In Lexington, Tony Annino spun five innings of two-hit ball, striking out ten, to lead the Blue Sox to a 4-1 win over the Somerville Royals. Julian Alvarez led the Lexington offense with three hits and a couple of RBI’s. Jake Cintolo doubled home Nick Valdario with the Royals only run in the top of the sixth. The Wakefield Merchants-Melrose Americans game that was scheduled for Morelli Field was postponed due to wet grounds. On Tuesday, the Malden Maddogs host the Americans at Maplewood at 7:45 PM, the Chiefs travel to Ferullo Field in Woburn to take on Alibrandis at 8:00 PM, and the Reading Bulldogs and Royals meet at Trum Field in Somerville at 8:15 PM. Lexington – Wakefield won its second consecutive game and became the third visiting team to win on the Day of Baseball with a 3-1 win over Reading on Sunday afternoon. The Merchants were the third straight visiting team to score in the first inning. Dylan Koster and Ryan Collins had back-to-back one out singles to put Merchants on first and second. After the second out Brendan Barry singled to left scoring Koster and it was 1-0 Wakefield. Wakefield starter Dominic Nardone held the Bulldogs hitless for the first 3 1/3 innings before Zak Tallis had an infield single in the fourth. Nardone had walked three Bulldogs, but left two runners in scoring position in the first two innings. The game stayed at 1-0 through the fifth before Wakefield added an insurance run in the top of the sixth. Koster reached on error to start the rally. He moved to second on a wild pitch and took third on a ground out to third by Ryan Collins to place himself 90 feet away with one out. Mike Sorrentino hit a perfectly placed ball between the first and second basemen into right field to bring home Koster. Reading broke through in the bottom of the sixth to cut the lead to 2-1. With one out Talis reached on his second infield single to short. A walk to Mason Campbell and Andrew Moccia reaching on an error loaded the bases against Nardone. He walked Luke Hall, for the second time, on five pitches and it was 2-1 Wakefield. Spencer Meyer took over on the hill for the Merchants and ended the threat getting Darren Hartwell to popup to first for the final out. Ben Gottesman, who had entered the game in the sixth for Reading starter Alex Mandus, struck out the first two batters in the seventh. Bobby Losanno doubled, his second hit of the game, into the leftfield corner. Koster made it 3-1 with an run-scoring single to center to plate Losanno. Meyer retired the Bulldogs in order in the seventh to earn his first save of the season. Nardone evened his mark at 1-1 going five innings, only giving up three hits, walked seven, and struck out five. Koster, who came into the game hitting .704 (not a typo! ), had two hits, scored twice and drive in a run, having a role in all three Merchants runs. He extended his hitting streak to nine straight games to open the season. Mandus took the loss for Reading dropping to 1-1 on the season. In five innings he gave up five hits, one run, walked one, and struck out three. Losanno and Brendan Barry each had two hits for Wakefield. The Merchants are now 5-3-1 for 11 points and moved into fourth place. The win snapped a six game losing streak on the Day of Baseball for Wakefield. That stretch included five consecutive losses to the Chiefs. Reading is now 3-4-1 for 7 points on the season in 7th place. Rain led to the fourth game of the day between Somerville and Watertown being suspended in the bottom of the second. The Reds had a 1-0 lead and were up in the bottom of the second inning. Lexington – The Andre Chiefs snapped a four-game losing streak behind the complete game effort by Tim Dunphy and defeated Lexington 6-2 in the second game of the Day of Baseball. The Chiefs. 5-6, continued the visiting team scoring first run as the Chiefs scored at least a run in the first three innings of the game. Erik Ramirez, who was making his Chiefs debut, doubled with one out in the first. He stole third and came home on the throwing error by Blue Sox backstop John Puttress. Lexington, 6-4, quickly got the run back in the bottom of the first when it number two hitter, Ross Curley, hit his first home run of the 2018 on a blast the cleared the fence in center. The Chiefs came right back scoring three runs in the second inning. Levi Ventura and Kyle Dembrowski singled to start the rally. Nate Witkowski followed with an run-scoring double to center and the Chiefs were on top again, 2-1. Dembrowski scored on a sacrifice fly to left by Tony Serino and Witkowski came home of Ramirez’ second double of the game. Dembrowski and Shane Stande each had a run-producing single in the third to give the Chiefs a 6-1 lead. Dunphy continued to be efficient as he threw 38 pitches through the first four innings, but only had one 1-2-3 inning in the fourth. The Sox had runners at second and third with two outs in the third and could not deliver and then and first and third with two outs in the sixth and again failed to supply the big hit. The Chiefs veteran lefty improved to 1-1 on the 2018 season. He scattered six hits, walked none and struck out three. Lexington added its final run in the seventh when pinch-hitter Ernesto Larra reached on a fielding error. He stole second and moved to third on an infield out. Larra scored on John Barry’s sinlge to account for the final score. Casey Bussone (2-1) started for Lexington and last 2 2/3 innings. The first-year pitcher gave up eight hits, six runs, three earned, walked one, and struck out four. Ramirez, Ventura, also scored twice, Dembrowski, and Witkowski each had two hits for the Chiefs. The win was the sixth straight on the Day of Baseball for the Chiefs, as they improved to 6-1 since 2006. Lexington – The Americans scored at least a run in each of the first four innings on the way to a 9-3 win over the Malden Maddogs, Sunday morning in the first game of the Jerie DeAngelis Memorial Day of Baseball. Melrose wasted no time in getting on the scoreboard. After Malden starter Kenny Chaves retired the first two Americans, Chris Hopkins and John Jennings singled to put runners on first and second. Chaves hit Malcolm Nachmanoff on a 1-0 pitch to load the bases. Dave Center, who finished with three RBI on the day, delivered with a single to right scoring Hopkins and Jennings and it was 2-0 Melrose. The Americans added four more runs in the second, the final two coming on Jennings second home run of the season. The other two runs came on a Will Shackleford sacrifice fly and an RBI single by Hopkins, for a 6-0 Melrose lead. Malden broke through in the second inning scoring three runs on three hits and two Americans errors. Geoff Lopes, Joe Klingensmith and Pete Maltzan each singled to load the bases with one out. PJ McDonald brought in Lopes with a sacrifice fly for the first run. Klingensmith and Maltzan each scored on errors to cut the lead to 6-3 after two. After the second Melrose starter Chris Mitchell retired the final nine Maddog batters he faced, the final three in the fifth on strike outs. Mitchell improved to 3-0 on the season and finished his five inning effort with six K’s and gave up four hits. Jennings finished the day with three hits, three runs and two RBI. Casey Santos-OCampo had two doubles, a run, and two RBI as he doubled in both third inning runs. Hopkins had two hits, scored twice and drove in a run. Kenny Chaves (0-1) took the loss for Malden. In five innings of work he gave up 11 hits, nine runs, seven earned runs, walked one and struck out four. Lopes had two hits for the Maddogs and scored a run. Melrose has now won five straight and moved them into a tie for first with Watertown (7-3, 14 points) at 7-2, 14 points. The victory also snapped a three-game losing streak on the Day of Baseball. 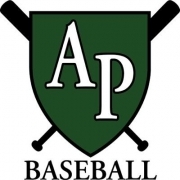 Worcester, MA- Intercity League veterans Steve Busby and Scott Searles have coached Austin Prep to the Division 3 State Championship. Head Coach Busby and Assistant Searles concluded a great season with a 9-1 win over Taconic to take the title on Saturday in Worcester. The duo led the team to a 24-2 record this year. Busby, who has been in the ICL for decades, is currently with the Reading Bulldogs. Searles has been in a fixture with the Wakefield Merchants since 2010. The ICL extends sincere congratulations to both Steve and Scott for a job well done!!! The Lexington Blue Sox annually host the Jerie DeAngelis Memorial Day of Baseball. Jerie was and will always remain a vital part of the Blue Sox organization. 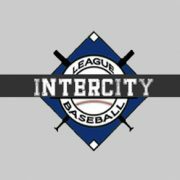 In recognition and honor of Jerie, the annual Day of Baseball will feature eight Intercity League teams this year. Jake Cintolo had three hits and Luke Rochi two RBI’s when the Somerville Royals beat the Malden Maddogs 7-5 at Maplewood. Jonathan Richard (2-2) went the distance to get the win. Shawn Smeglin (pictured) tossed a complete game five hitter, striking out six, as the Americans made four first inning runs stand in a 4-0 win over Alibrandis at Ferullo Field. Chris Hopkins, Dave Center, Kyle Cortese, and Charlie Huegi had the RBI’s in the Americans’ first at bat.